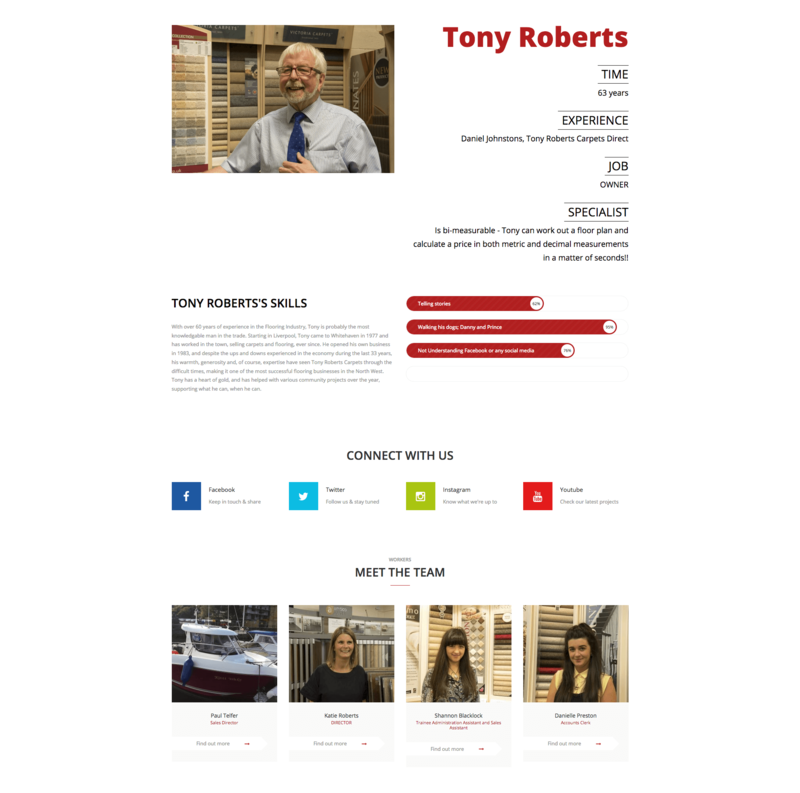 Tony Roberts would like their new website to reflect the company’s personality, current the website is out of date, does not function on mobile devices and is slow. 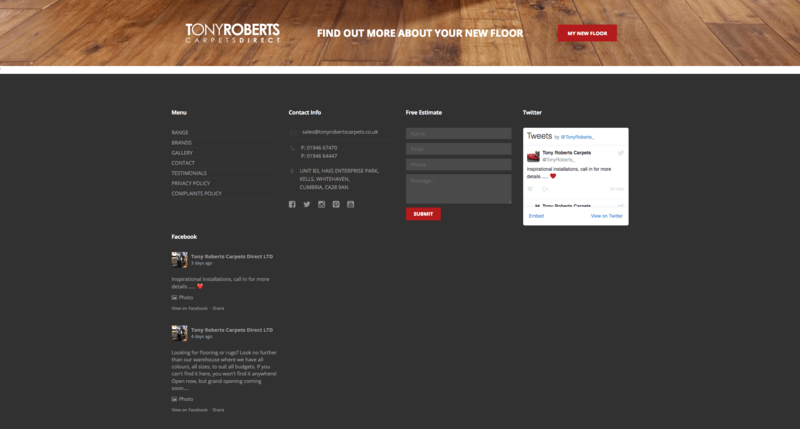 There are very few images around the site, which would help customers get a better idea of the destinations. 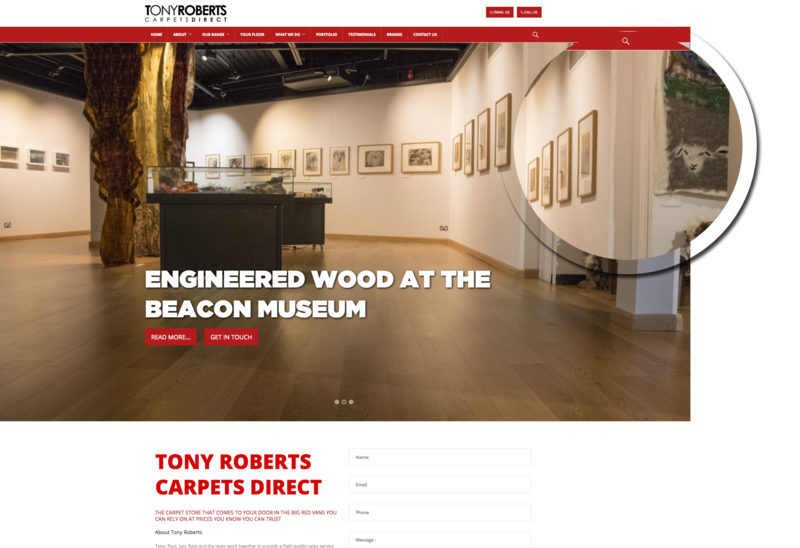 Currently the site does not have a clear focus on the range of carpets and flooring on offer, brands are not easily found, nor does it have much in the way of content. 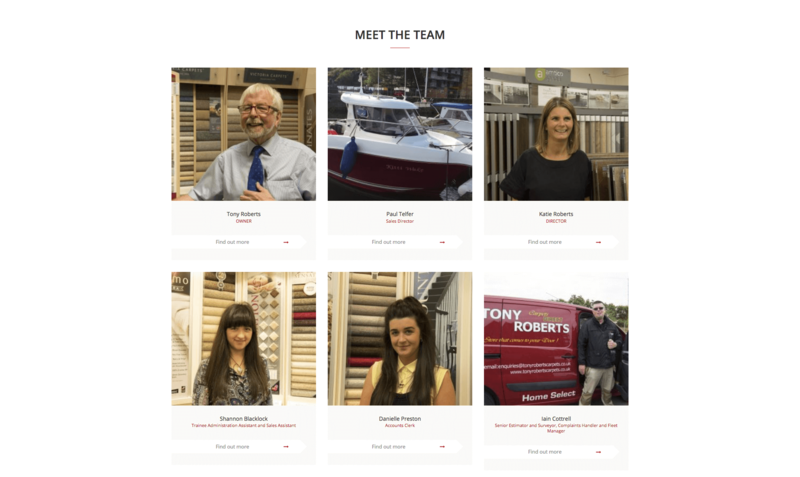 A key objective is to give the entire website a facelift and bring it up to date with 2016. 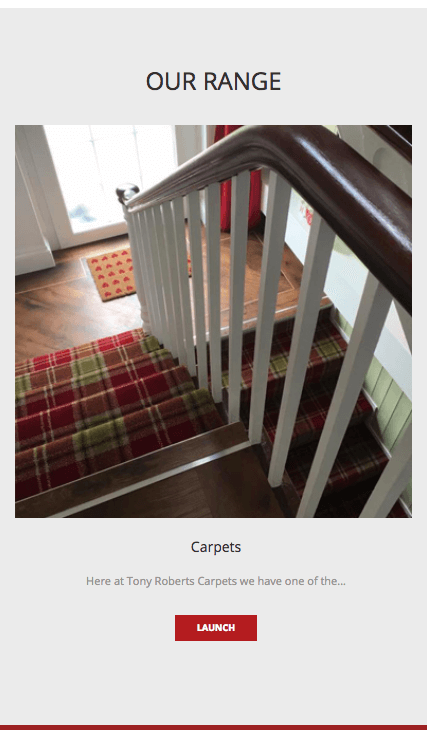 Tony Roberts Carpets Direct should be seen as friendly and approachable, that creates a more personal feeling, while remaining professional.